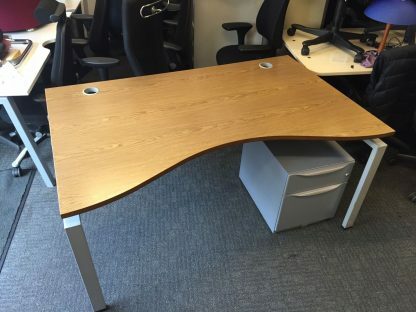 I have several excellent double wave ergonomic office desks available. 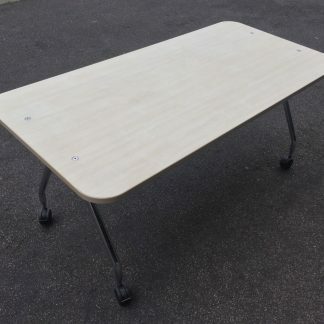 The desks are in great used condition, strong durable and ideal for setting up office or even for the home office. The surface of the desks are a walnut veneer finish, which is both clean and attractive. Yes there maybe the odd cosmetic mark on the desks are they are used, but really nothing of any note. These desks are structurally excellent and really well constructed. Made by Senator these are stunning desks for the commercial industrial market. good styling, strength and practicality. As well as the desk included within the auction is a 2 drawer mobile unit, which consists of 1 stationery drawer and 1 filing drawer. 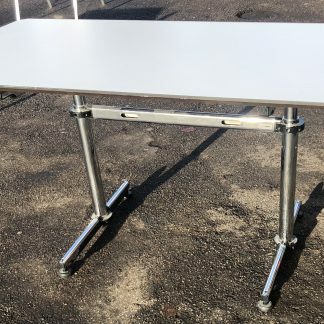 These mobile draw units are available in a sliver grey metal. 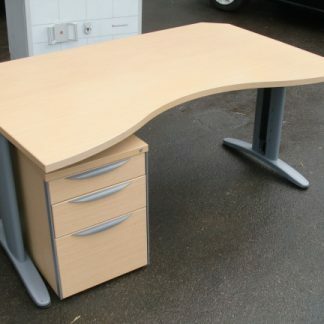 Due to the size of this desk I am not offering postage although local delivery maybe an option. The desk can be flat-packed for ease of transport and is quite straight forward to assemble. Many thanks for looking, happy bidding and good luck.